Children who live in two homes have to deal with a lot of change—schedules that are not always predictable, different rules and parenting styles, and sometimes siblings who are treated differently than they are. This change can be very difficult for children, but parents can make the transition between two houses easier on their kids by following these guidelines. Don’t argue in front of the kids. This one seems obvious, but it’s often hard to achieve. Some parents only see each other during transition time when the child is present and may use this time to hash out their own issues. Have these discussions when the child is not present so they don’t witness fighting between the parents or feel like they are in the middle. Use email or phone calls in between visits or times when the child isn’t present to work these things out. Keep the transitions short, sweet, and drama-free. Give children a sense of belonging. 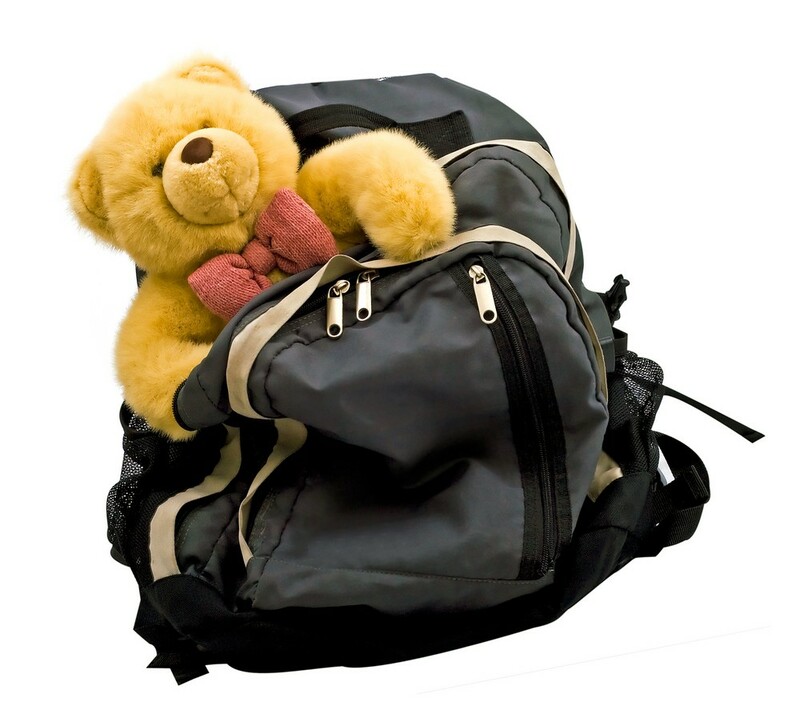 As much as possible, try to give a child their own space and some of their personal belongings at each house, so they don’t have to lug a big bag back and forth every time they go from one house to the other. It may not be possible to give a child their own bedroom at both houses, but if you can give them their own clothes, toiletries, and basic items that will be kept in one, safe place will give the child an important sense of belonging at each house. Make them part of the family. In each home, a child should feel like a full member of the family. This is especially important if there are step- or half-siblings living in the home. The child who goes back and forth shouldn’t feel like a lesser member of the family. They should have a full say in determining what happens in each house as much as the other children. Give them time to adjust. Sometimes kids need a few hours or even days to adjust from one parent to the other. They may be moody or act out when they get to one parent’s home. Give them the space and time they need to make the adjustment. Expect some pretransition anxiety. Help nurture their relationship with their other parent. A child should feel free to love and respect the other parent without guilt or fear of hurting one of their parents. Do not bad-mouth the other parent to the child, and try to encourage and nurture the child’s love for the other parent. Establish routines. Kids thrive on routines, which provide a sense of order and calm in an otherwise chaotic world. Try to establish set routines so they know what to expect at each house. Whenever possible, try to collaborate with your ex so the routines are similar at each house—especially about the ways kids organize their time, like bedtime, screen time, and curfews. Kids will adjust to each parent having their own rules and routines, but it’s best if these do not vary greatly from one house to the other. Make an emergency plan. Each parent should maintain a list of numbers to use in case of emergency—police, doctors, hospitals, neighbors. Make sure young kids memorize their address and phone numbers for both parents. Agree with your ex on what to do in case of an emergency, including who to call and how to reach one another. Create opportunities for quality time. For many families, quality time is during mealtimes—when parents and kids talk about what they did that day, share ideas and, most importantly, laugh. If your schedule doesn’t allow for family mealtimes, try to carve out a time for these conversations whether it’s on the walk home from school or during your bedtime routine. Give them chores. Getting children to help with housework helps them feel like a participant in the family. Try to make the chores similar at both homes, and make sure the child does not do more or less than their siblings. Avoid spoiling. Some divorced parents may spoil their kids with gifts and by bending the rules because they want to make sure their child feels welcome in their home or because they have guilt about the divorce. Spoiling them won’t make them feel more loved, but it can lead to behavior problems or make them feel like their affection is being purchased. Divorce and separation is hard. Connect with other Solo Moms who "get it".